Restored and modernised to a high standard with double glazing and high insulation values throughout, in addition to under-floor heating and a real log fire, this cosy self-catering holiday cottage offers excellent value for money in an idyllic holiday setting. 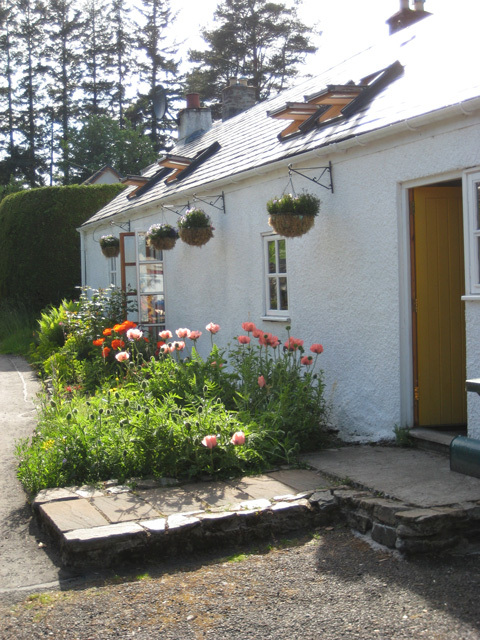 Situated in a winding lane a quarter of a mile from Loch Ness the cottage is just a short walk from the shops and bars of Fort Augustus, a picturesque and colourful village by the side of Loch Ness. The cottage has two bedrooms and offers comfortable accommodation for 4 people. Garden furniture and a barbeque will help you to make the most of the peaceful and secluded garden at the back of the cottage, which provides the perfect spot for relaxing on a warm summer evening. Situated at the southern tip of Loch Ness in the heart of the Highlands the village of Fort Augustus is an ideal Highland holiday base. 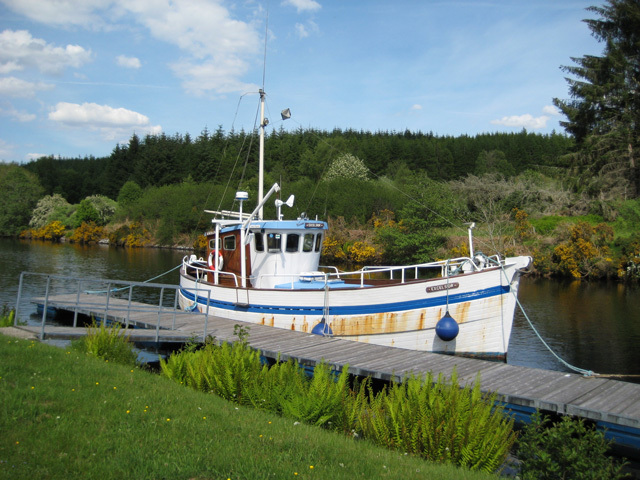 The Caledonian Canal passes through the centre of the village, where you can watch boats from all over the world pass through the lock gates on their way to Inverness in the north or Fort William in the south from the loch side bars and restaurants lining the canal banks. Inverness, the capital of the Highlands and Fort William, famous for its proximity to Ben Nevis are each about 50 minutes drive away, while the magnificent west coast with its sandy beaches and the magical Isle of Skye are all within a short drive. Plenty of activities are available nearby for the energetic; walks along the canal, riverbank and forest tracks, cycling the Great Glen cycle route, horse riding, kayaking or sailing on Loch Ness and fishing are just a few of the things you will find to keep you occupied. Cruises are also available for those who prefer simply to watch! A wood stove in the light and airy sitting room creates a cosy, romantic atmosphere. Satellite TV, DVD player and stereo are provided along with films, books and games. The dining area is incorporated in the sitting room. The kitchen includes an electric oven, hob and grill, fridge/freezer, breadmaker, microwave, toaster, dishwasher, washing machine and a drying room, with ironing facilities. 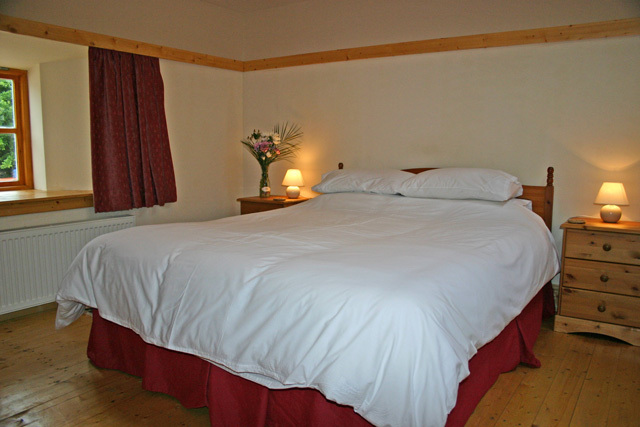 The spacious main bedroom has a king size bed and the second bedroom contains twin beds. The bathroom has a luxurious corner bath with mixer taps and shower over, wash hand basin, toilet and under floor heating for your comfort. Parking is available outside the cottage for two cars. One pet welcome or two by arrangement. The cottage has a small, secluded rear garden with a barbecue and garden furniture. Owl cottage has a wood burning stove and oil fired central heating, with under floor heating in the hall, kitchen and bathroom. Oil, electricity and a basket of logs ready for your first log fire. A Good Housekeeping Deposit of £75.00 is reuqired at this property. We had a lovely break in Fort Augustus. The cottage is ideally placed just on the edge of town, close to everything you might need. Inside there is ample room for 4, on this occasion there were only 2 of us, which made the place seem much bigger. All you need is provided in the cottage, the only thing my wife missed was Wifi, but no problems other than that. We will visit again in the future. Wonderful Holiday. Cottage was lovely and exceeded expectations, the wine and milk were much appreciated and a lovely touch. Cottage was very roomy with everything you could want. A shower would have made it perfect. We would not hesitate to book again with Wilderness cottages as we will be back to Loch Ness again. If you want a relaxing holiday this is the place to choose! 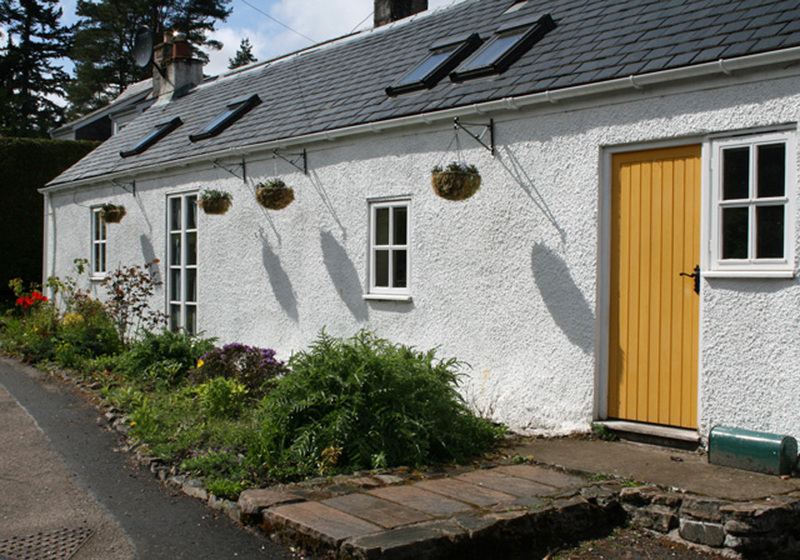 Beautiful cottage in a quiet area of Fort Augustus. Lots of places to explore, we walked 21 miles in three days!